There was no shortage of interesting men in Frida Kahlo's life - she was at school with muralist Jose Clemente Orozco, married to Diego Rivera and for a time shared her home with Leon Trotsky. 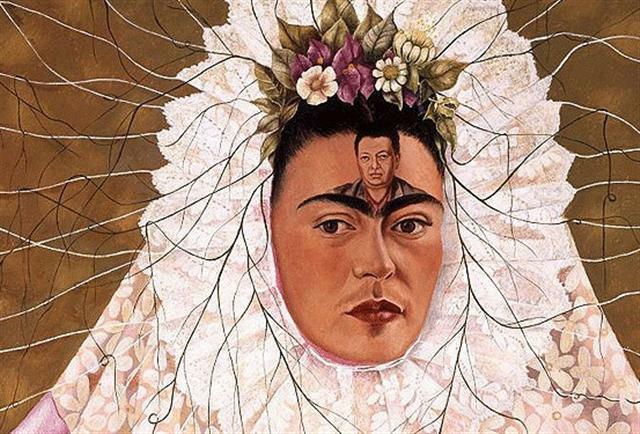 The tempestuous relationship between Frida Kahlo and Diego Rivera has endlessly fascinated art lovers and historians, Frida said of Rivera "There have been two great accidents in my life. One was the trolley, and the other was Diego. Diego was by far the worst." Rivera divorced Kahlo in 1939 after fourteen years of marriage, they remarried the next year despite Rivera's affair with Frida's sister.